Almost all children use self-hypnosis in imaginative play. I will teach you self-hypnosis skills to take home so you can take charge of your life and go to the next level!. 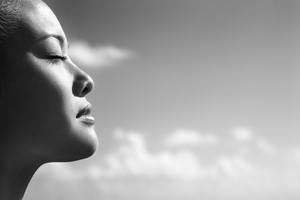 Self-hypnosis is an easy technique to help enhance the quality of your life and can be done in as little as 5 minutes or up to 30 minutes repeated in your daily routine. Repetition works well with the subconscious mind to reform habits, fears and emotions. Hypnotism is an altered state of consciousness characterized by a feeling of peaceful relaxation and "letting go", and increased suggestibility. As experienced from the inside, you are conscious, but detached as though you are observing what is happening to you rather than being in charge of it. You can learn to hypnotize yourself and provide suggestions to yourself. Self-hypnosis methods can be used to reduce stress and reach goals. You can help yourself in the privacy of your own home with the challenges you face, or in improving an area of your life. Hypnotizing yourself requires only that you have a private quiet area and a place to sit or lay down. You relax yourself as completely as possible without allowing yourself to fall asleep, and then work to deepen your relaxation, usually by counting down or by feeling different parts of your body relax.. When you are very relaxed, you can think about a relaxing and safe image, or an image of yourself as successful and happy. You can repeat to yourself affirmations and positive suggestions. When you are ready to end the session, you'll slowly waken yourself, counting 5 to1 or an alternative method. Need to get through your challenges? Learn and practice everything you wanted to know about self hypnosis. This is a hands on class so we will practice what we are learning and there will be a guided meditation and visualization you can use for your challenge or other.. Host a self hypnosis party in your home with a minimum of 3 people and yours is free. Bring 5 people and you will receive a complimentary one hour session of your choice.